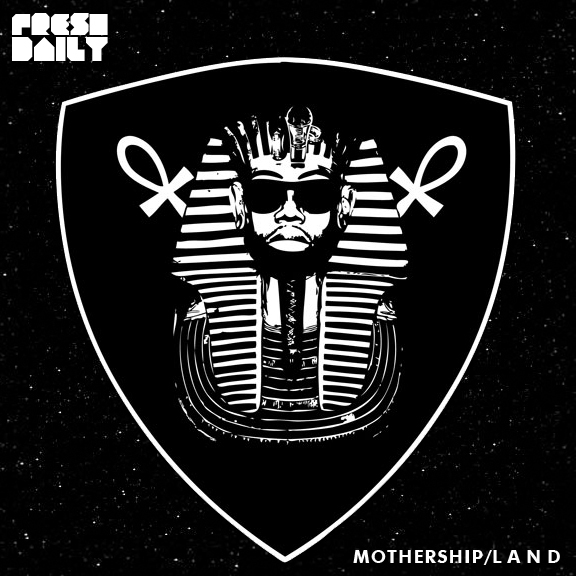 Fresh Daily has unleashed his latest titled Mothership/L a n d and it's the real deal complete package of dope Hip-Hop folks. 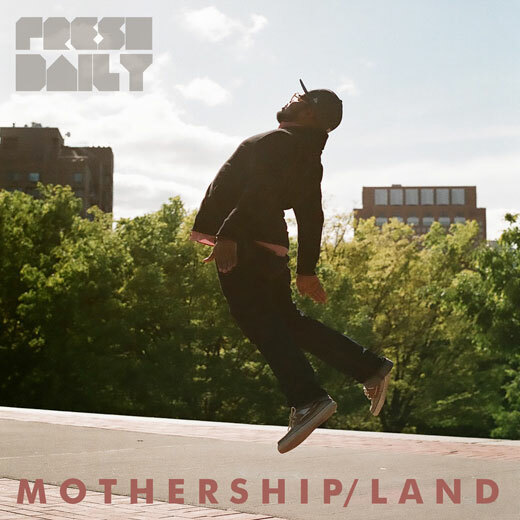 This is an artist and album that I would like to call grown folk modern Hip-Hop, it has this air of finesse and established thought that isn't there in most releases now. It touches on life, spacial thoughts and fashion as the brotha is always laced with something clean. The production on this album is highly impressive as it brings much talent on board to create a cohesive group effort that sounds effortlessly fantastic. Fresh is from Brooklyn and oh soo Brooklyn, even has a tribute 'The Stuy' perfect for those rooftop garden parties as you lounge. 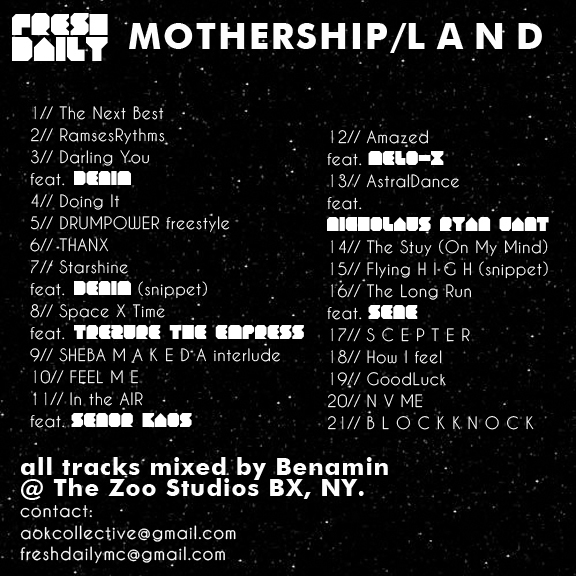 Check the talent and download below, peace to good art.